Foreword: This section is provided primarily as a resource for teachers. 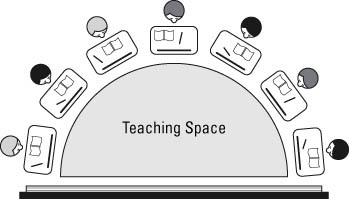 Hopefully, it is readable but more importantly it gives you as a teacher of God’s word several ideas on how you and your students might enjoy your classroom discussion and application even more. As a teacher it is obvious you want your students to achieve the most in the disciplines of life. How much more so because you have the passion to share God’s plan for each and every one of those who sit at your feet. Jesus, the Master teacher, used personal example, questions and parables to reveal deep spiritual truths through self-discovery. We take this lead from the Master teacher to help young minds do the same today. God’s word provides the path to the joy of personal ministry. Our task is to help each student to find and stay on the path for a lifetime. Two modern education systems are actually borrowed from God’s dealing with his people from Genesis thru Revelation. Please understand that when we discuss Bloom’s Taxonomy and Socratic Critical thinking we are really implementing what Jesus demonstrated perfectly in His personal ministry. For a basic understanding see resources below Changing Minds (Socratic Teaching) and Inkling of Wonder (Bloom’s Taxonomy). It is highly recommended that only the first three levels be used on a regular basis: Remembering, Understanding, Applying. 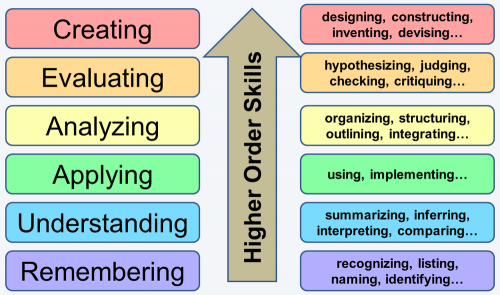 The higher order should be used when it is obvious that the students are ready for this level of discussion: Analyzing, Evaluating, Creating. Highly Recommended Resource: TeachOneReachOne.org will make your class come to life. Here are a few discussion questions for each of the three lower levels. Create your own also to better direct the discussion. Who is the writer speaking to? What was happening when this was written? In your own words, what is the situation? What options does the writer present? Do you have options? What are they? Does this situation seem familiar? Does any other writer address similar ideas? Using “I” statements, how might you apply this lesson? Will anybody notice if you apply it? Why would you not want to apply it? Will it be easy to make this change? Do you think you will have support to change? Will your life be easier if you apply this lesson? Have you had to make this kind of decision before? Students are provided Bible text for the next lesson in class: paper copy, via email, text, blog, etc. Blogging responses to the questions prior to class is encouraged…no such thing as cheating here! Who were the characters in this parable? What did Jesus tell the lawyer to do? What will people think when you do what the Samaritan Did? Provide information for next lesson. Give paper copy to students without online access. Please Note: The following are examples only. You should create or choose the study material. May God continue to bless you and your students who sit at your feet.